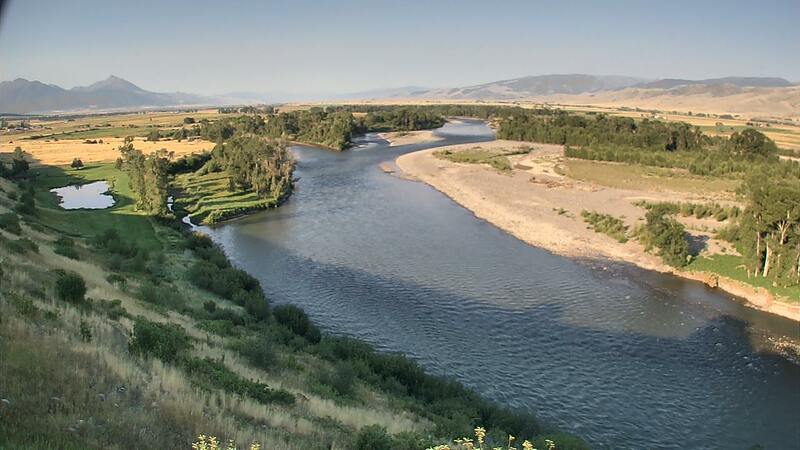 Yellowstone River is starting to shape up pretty decently. Kaitlyn here found herself a dandy of a brown floating the upper valley yesterday. You can see by her smile that she's digging fly fishing! Is it Rockem-Sockem fishing out there? Not really. Just being honest. But, folks are getting them. And I won't be one to downplay that at all. Having fun is the name of the game! As for bugs it's more a question of what we aren't seeing than what we are here in the valley and on up to Gardiner! Just about every major aquatic bug hatch we have is going off right now. Salmonflies top the list of "biggies" and these are still thick in the willows around Carbella and upstream all the way (and past) Gardiner. We really haven't had any awesome reports of fish pounding on them. Yet. Along with the big salmonflies, there's big numbers of Giant Goldenstones and yellow sally stones, PMDs are on the river as well as 4-5 kinds of caddis. There's even some Western Green Drakes that have been out- though better on cloudy times. Of which we haven't had many lately. Sunny and high 80s seems to be the rule of thumb today and through the foreseeable future.